He’s not a well-known name today, but he’s the pioneer behind one of the largest media empires in history. If it weren’t for him and one cold night in 1912, the world of entertainment could have been a very different place. David Sarnoff was born in what was then the Russian Empire in 1891. He came to America when he was nine years old and began working immediately, since labor laws essentially hadn’t been invented yet. He happened to find his way to a telegraph company, and worked his way up the ranks. 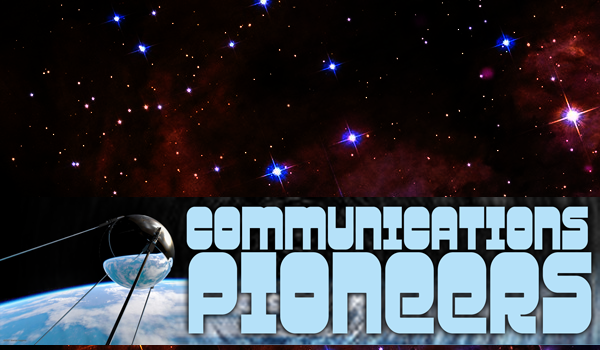 David Sarnoff’s big idea, which he tried unsuccessfully to push after his post-Titanic fame shot him to prominence, was this: The future of communications wasn’t point-to-point, it was broadcasting. In other words, there was only going to be so much money to be made from phone calls and wireless telegraphy. The real money, said Sarnoff, was in creating programming and broadcasting it out to the masses. Seems like a simple idea, but most people didn’t believe it 100 years ago. It took a decade for Sarnoff to find the right audience. 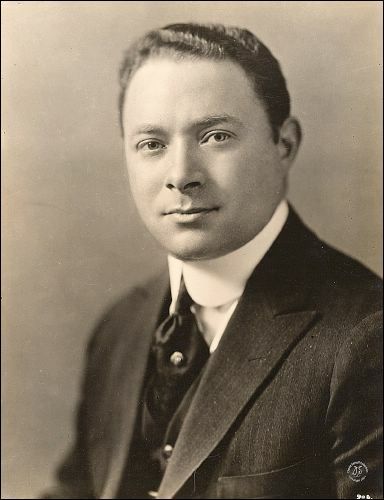 Sarnoff pushed hard, and after he arranged for one of the first sports broadcasts in 1921. His star began to rise, and in 1925 he started the National Broadcasting Company (NBC.) It grew so quickly and was so successful that it split shortly after into two networks, the second eventually being spun off to form ABC. Sarnoff became President of RCA in 1930. Throughout the 1930s, despite crippling economic times in the country, RCA continued to grow, and branched out into the RKO movie studio. This wasn’t enough, and Sarnoff more than any other non-technical person was responsible for creating and adopting television standards that were still used in this country until 2009. Vladimir Zworykin, Philo T. Farnsworth, and John Logie Baird may have argued until their death about who really invented television, but it was David Sarnoff who bankrolled it and convinced the US government to allocate broadcast frequencies. If not for him, television could have been quite different or might not have even happened. In the 1950s, when Sarnoff wanted to push the idea of color television, he successfully pushed the US Government to adopt RCA’s proposal for a color TV standard that would let people continue to use their black-and-white TVs. Despite color TV production being halted due to the Korean conflict, the new standard was adopted in 1953 and it was this standard which continued to be used, with some additions, until the digital transition of 2009 made all analog TVs obsolete. Mr. Sarnoff was given the rank of Brigadier General during World War II, he received multiple honorary degrees, and was inducted into several halls of fame. There is library and museum bearing his name, as well as numerous awards. Sarnoff passed away in 1997, before he had the opportunity to see the radio and television systems he helped create become obsolete by streaming and HDTV. Probably for the best there. RCA and NBC were part of General Electric for most of its life, but toward the latter half of the 20th century General Electric divested itself of RCA and NBC. RCA became a licensed brand used by several different Chinese and French manufacturers, while NBC would go on to acquire Universal Studios, then itself be acquired by Comcast. It’s now stronger than ever, despite several years as a sub-par program source and perennial fourth network in a three-network race. And, let’s not forget it all started because of one person who worked hard and took every opportunity.